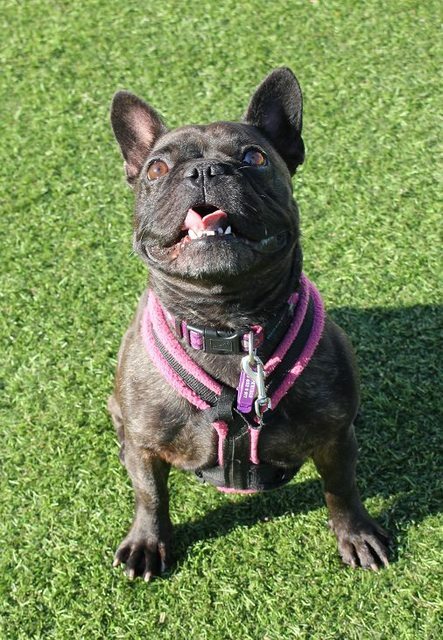 Bonnie is a 3 year old female French Bulldog. Pretty little Bonnie came to us after her owner had been made homeless. Prior to this Bonnie had been passed around and is therefore quite confused and unsettled. When Bonnie arrived with us she was very reactive towards everyone whilst on the lead and it soon became clear to us that she had not been very well socialised. Her new owner must be prepared for her to be reactive on walks and with visitors to the home. 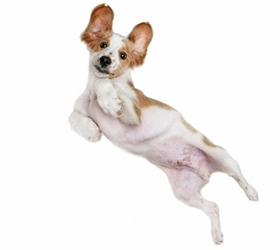 Our behaviourist will be on board to help her overcome these issues. It did not take the staff long to win her over though and she is now beginning to show us all her very sweet, playful character! Bonnie does suffer with a chronic skin allergy so will require a hypoallergenic diet and possibly treatment on/off for the rest of her life. Her new owner must be financially able to support this. As an adorable and popular breed we are sure that Bonnie will gain many enquiries, however please note that we are looking for an experienced home for her, free from young children and other animals. She is only a young girl so will also need a home with someone around for most of the day. 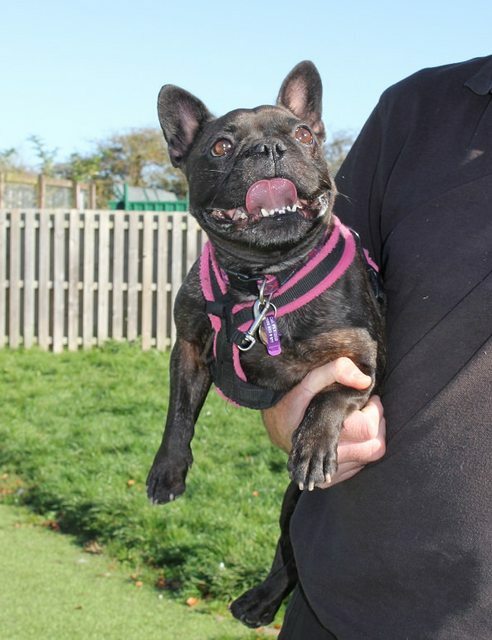 Overall Bonnie is a lovable girl who has already came on in leaps and bounds during her short stay with us so far. We believe that she will make a fantastic friend for a sensible owner.